Remember at the beginning of this quarter I said I wanted to get one more photo essay in before the end of the school year? Well, here it is! Big thanks to Kevin for letting me know about this project. 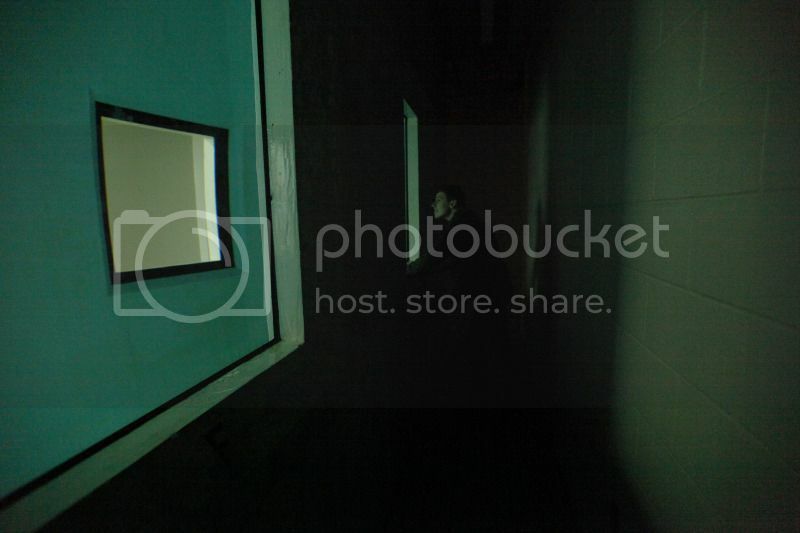 It really was a blast to shoot. I'll give you the official photo essay along with some additional photos that I liked but didn't have room for in the story. Everything just sort of came together for this project. In a lot of ways it is an accumulation of all that The Daily has taught me. 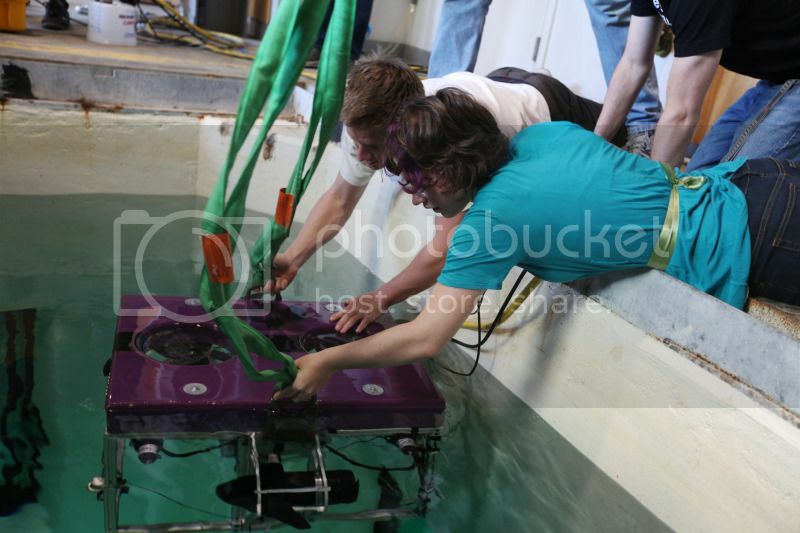 The UW underwater robotics team was one of five teams from Washington, Oregon, and Canada to qualify for internationals at the Marine Advanced Technology Education Center's remotely operated vehicle (ROV) competition last Saturday. Dubbed "Casus," the Latin word for "adventure," the UW's ROV is designed to clear underwater wreck sites and was built by a group of undergraduate students who came together at the beginning of the academic year. The team will continue improving its machine and fundraise for its travels as it prepares for the international competition June 21 in Orlando, Fla. 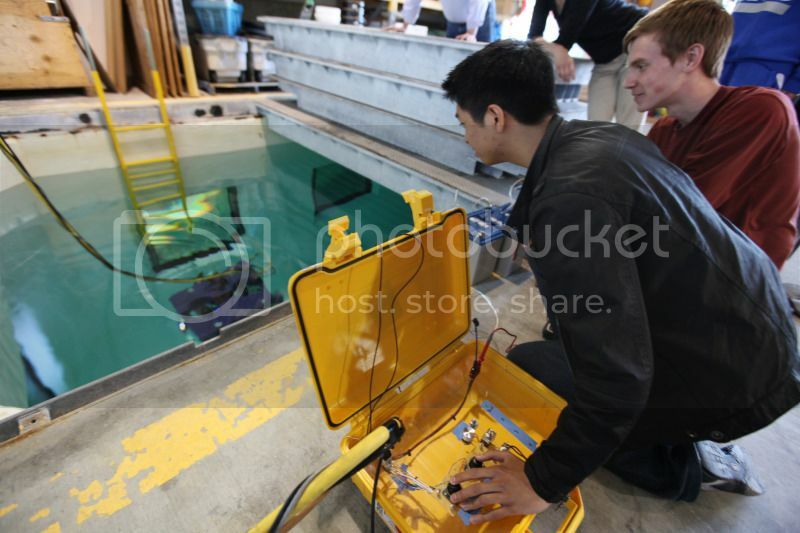 The Daily was there during the team’s first pool test of the ROV by the Ocean Sciences Building. released the ROV in Portage Bay but found that the murky water made it difficult to navigate. Casey Hearn tightens the strafing motor which controls the vehicle's side-to-side movements. 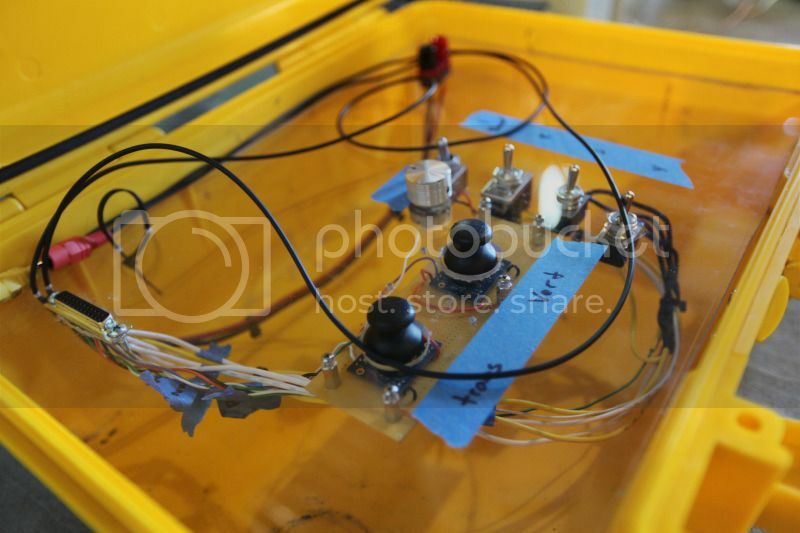 The control panel allows the researchers to control the robot. 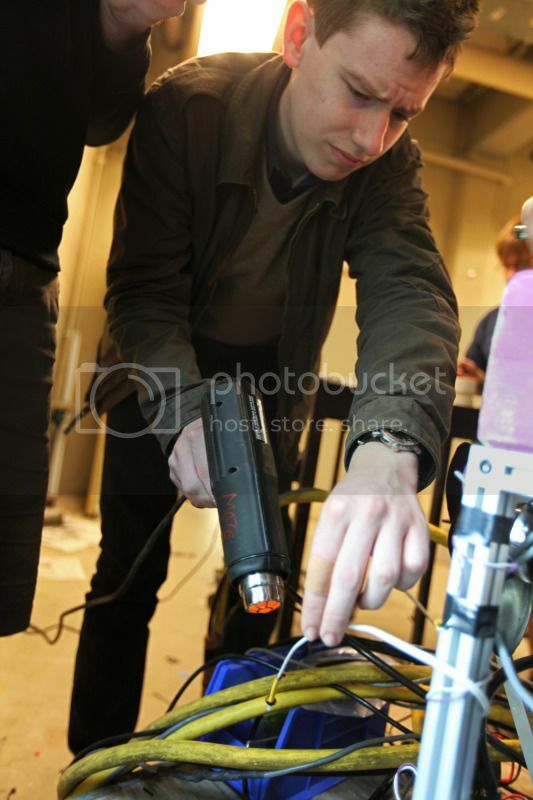 Brian Auf der Springe steers the ROV using the main motor control. 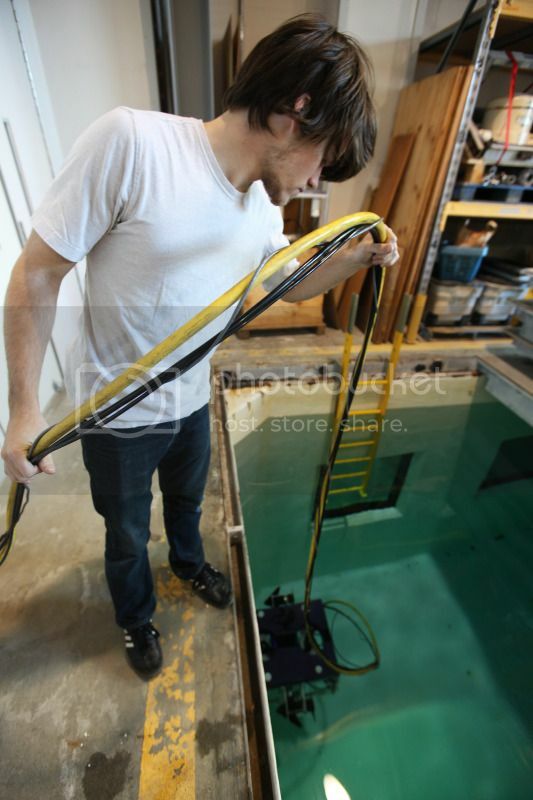 attach lead straps to the underside of the ROV before rereleasing it into the pool. 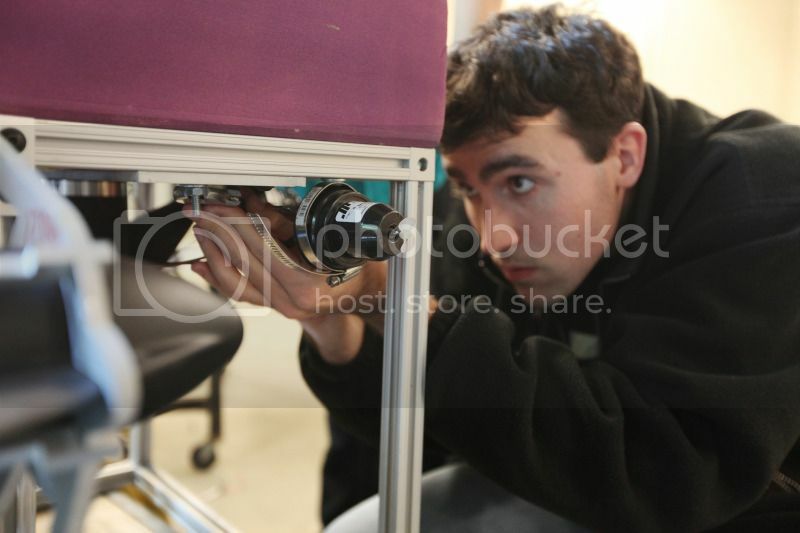 Scott Daley manages the vehicle's 23-conductor tether. 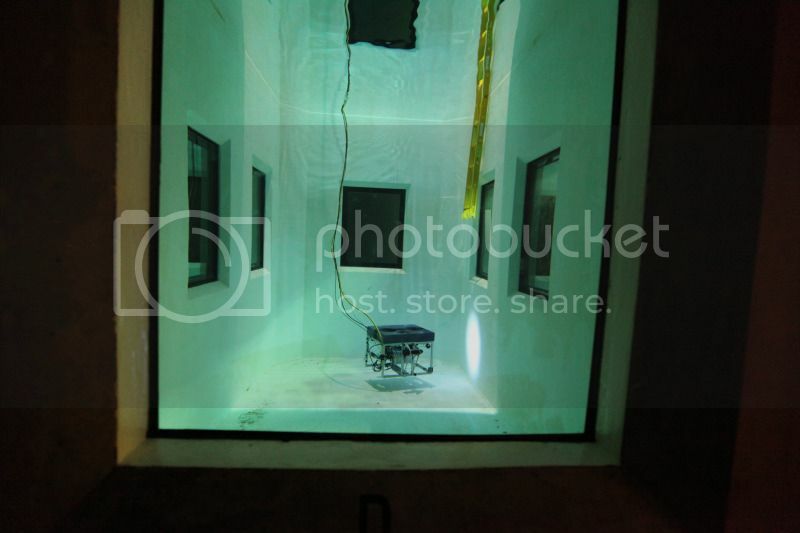 were downstairs looking through the observation windows that surround the 25-ft deep pool. This year's preparations and competition in June all lead up to the 2013 international competition in Seattle. The team hopes to gain experience in Florida so they will know what to expect next year when the must defend their turf. 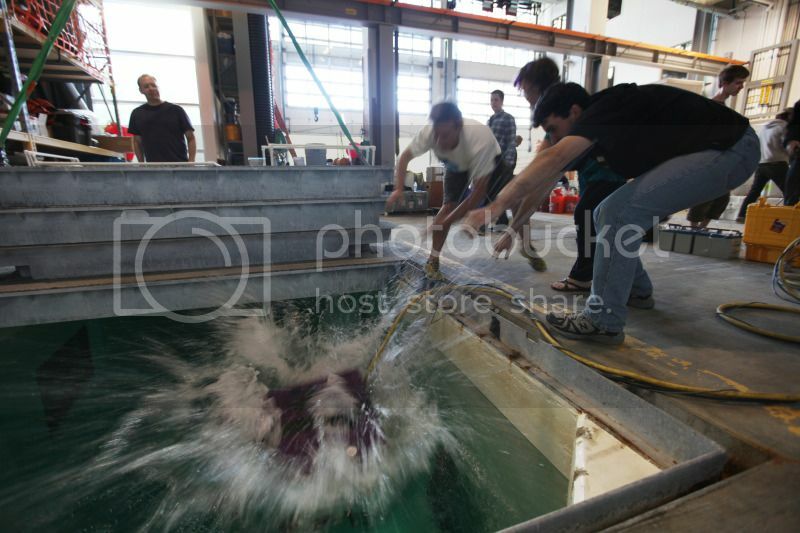 Kira Homola steadies the cable that is attached to the ROV as her teammates pack up after a successful test run. 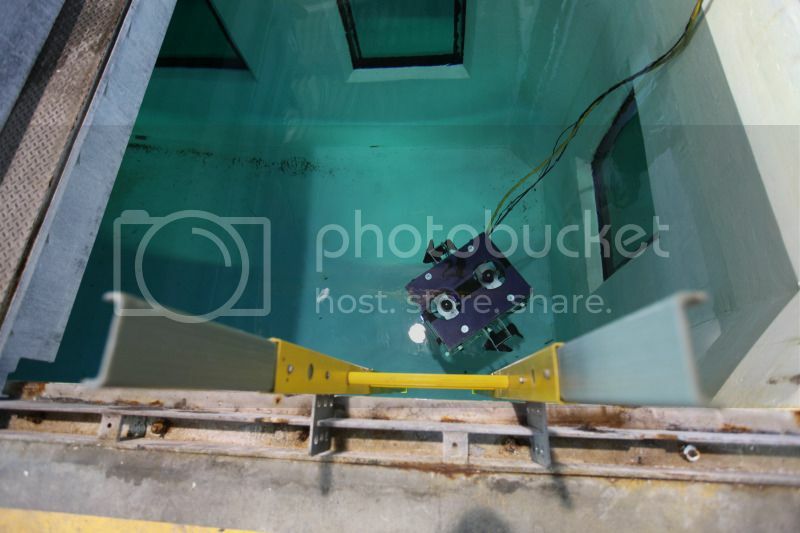 The biggest challenge that the team faced was waterproofing all of their equipment. 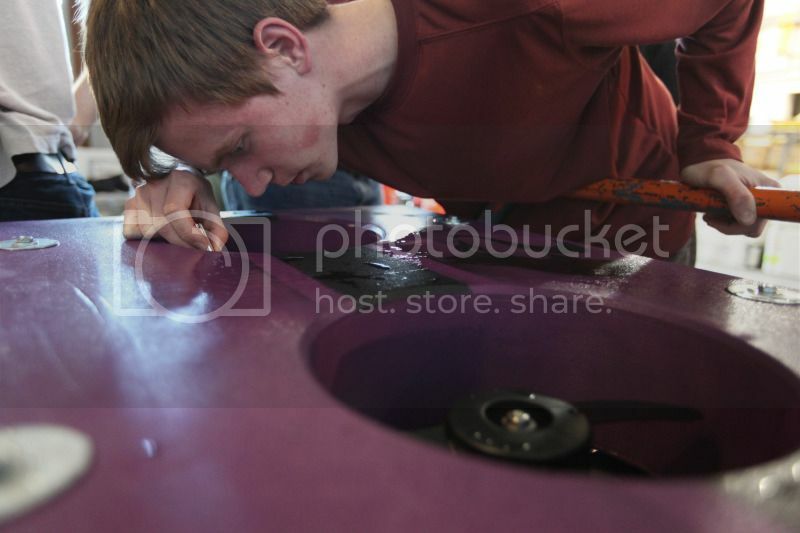 After the ROV was taken out of the water, Ryan Cox checks to see that no water got into the main electronics box and pressure hull. 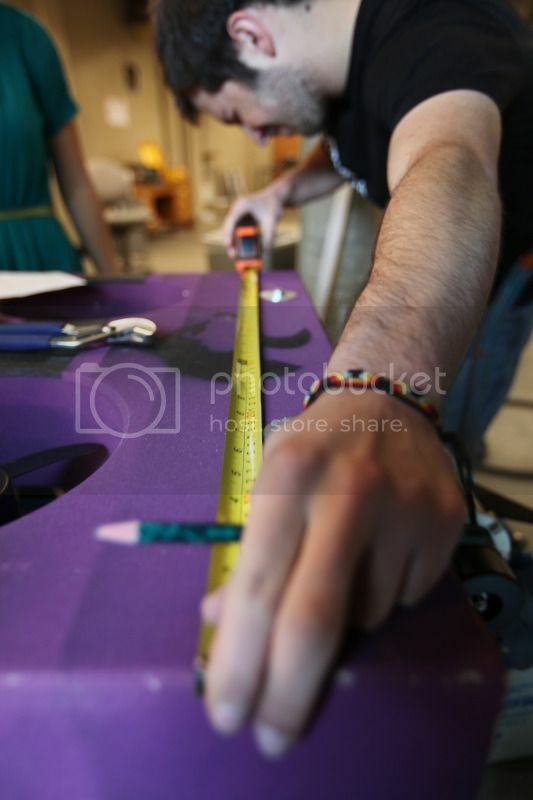 Josh and I were going to divide up the work. I cover the baseball game, and he covers the NCAA Softball Tournament, but since the baseball game ended up being a couple of hundred miles away, I got to shoot softball instead! Yay! How come no one told me press people got free food? I'm talking free Subway, M&Ms, drinks, snacks, happiness. Here's a gallery we put together of tonight's game: Huskies edge out Crimson. 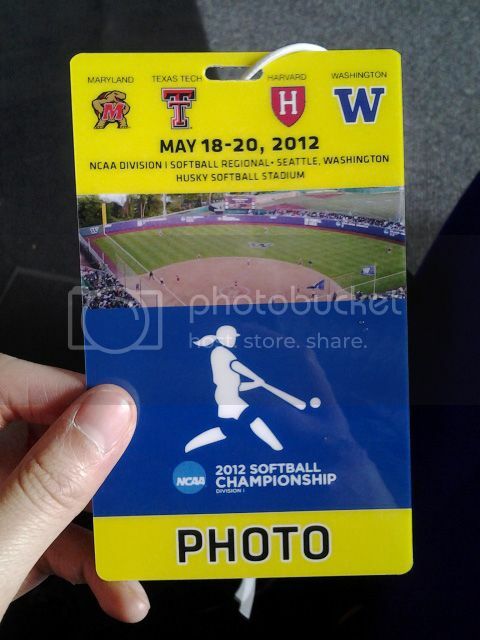 I'm starting to get a better idea of what sport's photography is like, and frankly I have mixed feelings about it. I can elaborate in another post because this one is already getting too long. I really thought Friday would never come. Hope you like the photo essay. Visit the team's website so you can stay updated with their progress and help them get to Florida if you'd like!